Are you ready for a great event on the eve of May 1st? Join our Mayday Party on 30 April with the professional DJ Ozzy XPM, who is also a famous music producer. Ozzy XPM will perform from 21.30 onwards. Every guest receives a free welcome drink. The entrance fee can only be paid in cash . Our new venue BigChefs Fenerbahce is located directly on the Marmara Sea in the Kalamis district. 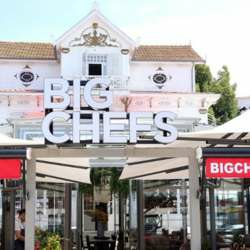 You can also have a dinner at Bigchefs during the event, there is no need to make a reservation.